This video was sent to me via email and naturally I sent it on, because that’s what we do. But computer graphics notwithstanding, this is still a pretty cool, “wow” type of video. Just got done with the twebinar hosted by Chris Brogan. It was an interesting way to push information out regarding social media. For those in the know, it gave them insight as to how some of the movers and shapers of social media, marketing and media think in regards to how social media is changing the game. It also was presented in a way that if someone who had “heard” what social media was, but was not entirely sure what IT was, could, perhaps in laymans terms utilize or understand it. The mashup was interesting in that we had video, we had twitter, we had live webcam, we had twitter aggregators and we had live participants and we had half participants who were following the tweets and not perhaps the video. Even more interesting were the ways that participants were communicating. The primary means being Twitter, but in the Twebinar format, they were talking with individuals that were in the video, they were talking with the moderator, Chris Brogan and they were talking with each other. Now picture that happening in any other type of moderator, speaker, panel, discussion presentation where everyone was, for the most part, talking at once. In this format it worked. It was staccato like in its essence, but it worked. With a couple of tweaks here and there. I can definitely see this becoming some type of workable app for future conferences. Perhaps embedding the Twitter app in the screen of the presentation so that everyone could tweet and everyone could read everyone elses tweets without having to possibly toggle betwen Summize and the actual presentation? Either way it worked. Good job to David Alston of Radian6 as well. The good news? This is a 3 part series. What are you waiting for? Twitter is not a traditional media outlet. With that being said we should not expect what is tweeted to be completely accurate all the time., or rather we should expect what we read coming off of twitter with a grain of salt. 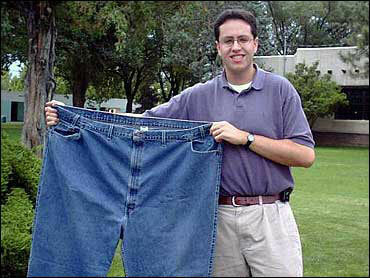 Someone got ahold of this parody website about Jared of Subway fame and tweeted it across the Twitterverse. Jared was more than the public man we all came to know and love, he was veritably the private man with whom we all wished we could have split a bag of baked Lay’s. Like any onion, you start peeling the skin and you find another layer, another and another, each one as eye-wateringly sad as the one before it. Buddy, we miss you and we always will. Jared played him some mean table tennis (ping pong, if you prefer) and could beat even the best players in a best 3 out of 5 more often than not. He had a retro Asteroids machine in his garage he used to challenge us to, but he had the high scores on it, and it seemed like, no matter how grand any of could aspire to become, once we returned, all the scores were once again reset to his own, as if by divine intervention. Come on people…Between Twitter being down, or not showing replies, or just plain not working right, and now the spreading of erroneous information. I’m surprised Twitter isn’t melting before our eyes! With that being said, they are far from being a reliable and credible media source. I wanted to thank the fine folks over at Alltop for choosing to feature this blog as one of their sources for worthy information. Alltop is a “digital magazine rack” of the Internet. Alltop sites are starting points—they are not destinations per se. They enhance your online reading by both displaying stories from the sites that you’re already visiting and helping you discover sites that you didn’t know existed. The bottom line is that Alltop collects stories from “all the top” sites on the web, which means we must be doing something right, and for that we are grateful for the love and the recognition. One world and where the hell is matt? I have to give props to Peter Shankman on this one. As soon as I saw this video, it made me smile and then think that maybe the world we live isn’t so messed up as we think it is. All anyone wants is a warm meal, a roof over their head and something to smile about every day. Suffice it to say, the below video accomplishes 1 of 3. I write as much about marketing and social media as the next person, but every once in awhile you have to lay down the pen, the judgement, the criticism and just realize, at the end of the day, it’s important to smile. Thanks Matt for being extraordinarily ordinary. The top social networks this month, MySpace still dominates..
You know, we don’t talk about MySpace the way we used to. At least I don’t. Perhaps because there are so many great social media stories out there since MySpace came on the scene. One thing though you cannot ignore is MySpace traffic. the bottom line being that MySpace receives a massive amount of visits; In addition to receiving over 25% more visits-per-visitor a month than Facebook, the site jumped to 72 million unique visitors in June, generating over 1.3 billion total visits. That, my friends, is a lot of traffic. With that being said, lets look at the numbers as compiled by our friends over at Compete these numbers might seem a little out of whack, but they base the rankings on amount of attention as well as traffic. Thats why some might appear to have more traffic than others. the bottom 10 have more of an ethnic diverse, niche like quality than the top 10 as well. But given the rush to crank out a social networking group these days, being ranked anywhere in the top 20 is not such a bad thing. It may actually mean you’re making money! Myspace with over 72 million visitors per month. Orkut, intrestingly enough had 460,000, but was ranked 11th. How many of you have been to these sites and have given them a test drive? Which user interface makes sense? Which do you see continuing to grow and which do not have a snowballs chance in hell? Personally, I may check out Multiply, the rest I am somewhat familiar with, with the exception of the hispanic sites. I am surprised as well by where Orkut is. With summer being a time when we spend more time outside than in, lets regroup in September and see where we’re at. Ok so Twitter has been up as of late, so maybe the above cartoon is not as applicable. But something that is, are people’s opinions or their general “take” on Twitter. Want to see some of the more creative answers to the question, do you Twitter? Interesting insight to say the least. -“If Twitter is as I understand it, I’m not clear on how it is that any user types anything other than “I’m typing on Twitter”. To each his own I guess. I find it interesting that there is such a strong negative opinion, but even more interesting is that some of them may have not ever used it, either. What is your opinion of Twitter? Obviously, even if you have not used it before, you seem to have one. Mad shout out to geek and poke btw.